This quick and simple classic British soup gets an exotic textural twist with the addition of crisp, fragrant Asian pear. 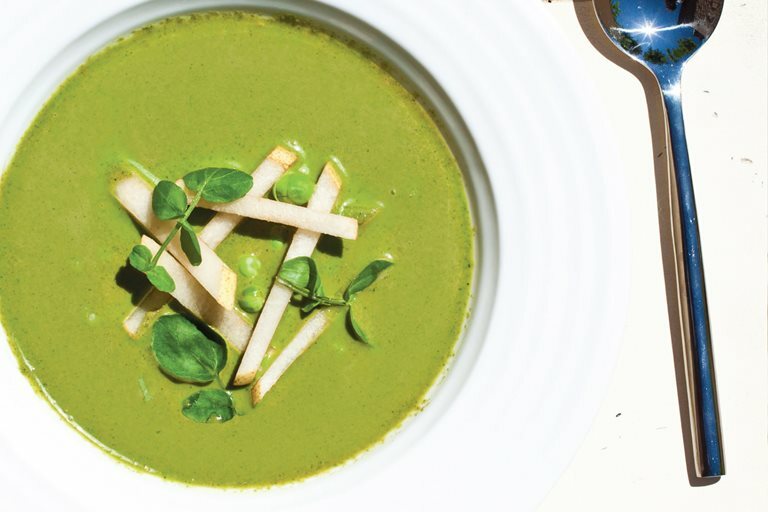 A light palate-cleansing starter to a dinner party, this watercress soup recipe from Shaun Rankin is also lovely as a summer cooling dish. If you're looking for inspiration for more meat free dishes, have a look through our collection of vegetarian recipes.